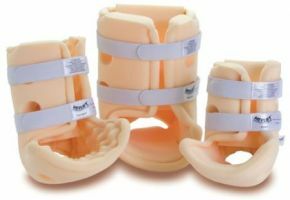 Ankle / Heel Pressure Relief Heel-lift Support Boots. Prevents foot drop, unlike pillows or flat foam pads. 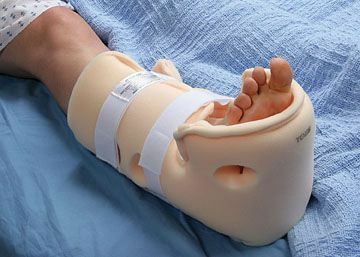 The smooth Heelift is specifically designed for edematous legs to minimise chance for irritation or pressure points. Machine washable, Latex free, Sold singularly. Bought this for mum. She has adapted it for her use as she had pressure sores developing and she finds that she uses it best when it is not fully done up with the Velcro. However she is pleased that I obtained it for her and her foot is not so red and sore as it was hitherto.